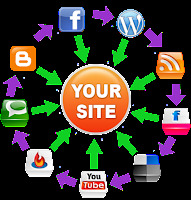 Getting backlinks to your website is an important part of any decent SEO strategy! Spreading your link juice all over the web is a good way to consistently drive traffic to your blog or site over time – but if you don’t want to purchase backlinks, what can you do? The answer, of course, is to do it yourself — it’s not as difficult or time consuming as you may think. By default, WordPress blogs have the HTML “NoFollow” attribute on links that point away. Blogs do this to prevent “link bleed” and prevent spammers from inundating their blog with irrelevant comments. DoFollow blogs, on the other hand, don’t have this limitation – and you can use this to your advantage to get backlinks. To get you started, here’s a list of more than 50 DoFollow blogs. Make sure your profiles on Facebook, Twitter, LinkedIn, Pinterest, Google, etc. have links back to your site. Question and answer sites, like Quora, are great for dropping links to your website or blog. Also, if you sign up for services like HARO you can get much more than backlinks – you can get millions of dollars' worth of media coverage. Make sure that every post links back to another that you’ve written. Over time, you’ll have a network of tons of backlinks built up – all on your own site. 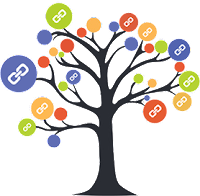 One of the easiest ways to get backlinks is to link to other blogs yourself. Many times, people will return the favor. Host weekly linksharing parties on your blog – you may be surprised at the number of people that show up. Write useful blogs packed with helpful information, and then submit them like crazy. With linkbait articles, it’s good to use the Field of Dreams approach: if you build your site up with really good content, they will come (and link to you). First, make sure you've done your SEO keyword research. Web content writing is different than other types of writing, so make sure your blogs are reader friendly and utilize bullet points, numbered lists, bold subtitles, etc. to break up big blocks of grey paragraphs. Read and re-read your content for errors – you’re less likely to be taken seriously (and get backlinks) if your copy looks like it was written by a third grade ESL student. Does your company sell products on Ebay or Amazon? If so, make sure each product page links back to your website or blog. Sure, it’ll take time and you’re giving somebody else’s website content. However, you’re also exposing yourself to a new audience of people – and you can always send them to your site with a backlink for more info on the subject. Give away a physical prize, but make the requirement for entry posting a link back to your site, following you on Twitter or becoming a fan of your Facebook page. You’ll get backlinks, friends and followers all at once! HARO is a service used by journalists when they need to quote an expert to flesh out an article. Likewise, if you're an expert in a field, you can answer HARO pitches, which might just land you a quote in a publication. HARO is a great way to get backlinks on a reliable basis. How reliable? Over the course of one month, we were able to get quoted 6 times by using HARO. So, that’s how to get backlinks. There are more advanced strategies you can try, but this is a good go-to guide for SEO beginners to get started with.